I am really looking forward to summer, and that is mainly for the amazing summer music festivals I want to attend! 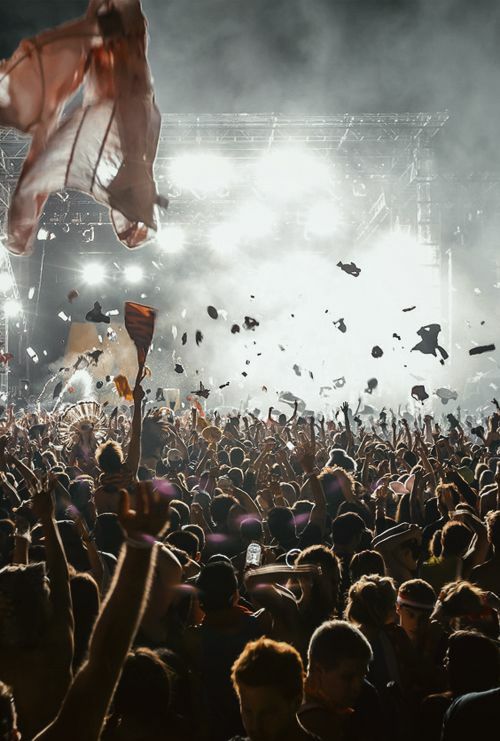 Great music, partying all night long with your friends, wearing sparkly cool outfits, and having loads of fun is exactly what a perfect festival looks like to me! Unfortunately, happiness does come at a high cost, at least in this case. Tickets for summer festivals are often very pricey and adding the cost for food and drinks, it most likely will break your bank on short notice. When looking for festivals in Europe, one might generally first cross upon the most expensive ones, usually in Western Europe. However, the further you head towards Balkan countries, the cheaper the ticket prices will be, yet the line-ups will stay the same. I reckon music festivals are an experience for everyone, so I have gathered a list of the most affordable and fun ones! Before I continue, there are several reasons why visiting the Balkan countries this summer is a great choice! If you book a music festival in one of the countries, you should really use this opportunity to stay a bit longer for several reasons: the breathtaking nature, the delicious food, and the friendly people. From the beautiful, crystal clear Mediterranean Sea in Croatia, to the Olympic Mountains in Bosnia, nature indeed is breathtaking. You can travel for hours and be amazed by the untouched scenery! Check this list of 10 Balkan Nature Must Sees! I believe once you visit the Balkans, you will always want to come back because of the food. There are some differences between countries: in Croatia, you will more likely eat seafood dishes, and my favorite meal is Buzara, a simple dish of mussels in a wine broth with garlic and breadcrumbs. If, however, you visit Bosnia or Serbia, the meals are heavier, and the most famous meal is Cevapi, which is a grilled dish of minced meat. Rest assured that no matter where you go, there is not the slightest chance you will leave hungry. I could talk for days about the delicious food and nature, however, this article is about music festivals, so let’s proceed onto my favorite ones! Outlook is a festival of electronic music in Pula, a city in the Istria region. For the past 12 years, they organize the festival among the ruins of an abandoned fort called Fort Punta Christo, when thousands of music fans, artists, labels, and promoters gather. Each year, they open the festival at the Arena of Pula, which is the only remaining Roman Amphitheatre to have four side towers preserved. It was constructed in 27BC and it is among the six largest surviving Roman arenas in the World. Partying in one of the most momentous venues in the world is definitely a great experience, however, keep in mind that the tickets for the opening concert are sold separately to festival tickets. Besides the usual session at Fort Punta Christo, the party also goes on at Zerostrasse, which is an underground network of tunnels built during WW1 for shelter from air raids. This mysterious location is great if you are looking for more privacy, yet it is still only a few minutes away from the main stage. When in Croatia, a boat party is a must and of course, Outlook organized a variety of boat parties as part of the festival, and you can find out more about it here. Other stages are on the beach, festival gardens, the stable, and the moat. Check it out here. Line Up: At this moment, several names have been announced for the line-up and these are Hase&Status, Bugzy Malone, Kalibre, and Andy C. Check the remaining current line-up here. Tickets and packages: You can buy the Weekend Festival Package for $193 which includes the Outlook Festival ticket, the Opening Concert on the 4th of September, and the Camping Pass. You can as well buy a Joint Festival Ticket, which includes the Outlook Festival Ticket (4th-8th of September) and the Dimensions Festival Ticket (29th-1st of September), which is also in Pula. You can check other tickets here. Accommodation: If you buy a camping pass, you can access the Outlook camping area for 5 nights, between the 4th until the 9th of September. This is the cheapest accommodation option, and it really gives you the full festival experience. There are plenty of shaded areas for comfortable camping and showers, toilets, electric points, stores, bars, and restaurants. If you prefer other options, you can check local apartments, hostels, and mobile homes here. If you prefer to party longer than 4 days, you can combine the Outlook Festival with the Dimensions Festival, which happens from the 28th of August until the 1st of September. The festival is also at the Fort Punta Christo, and you can find out more about it here. What is the difference between Outlook and Dimensions? Dimensions have been developed as part of Outlook, and although they both are organized at Fort Punta Christo, they emphasize a different style of music. Outlook is specifically bass-related, while Dimensions highlights the deeper side of house and techno. About Pula: Pula is the largest city in the Istrian County, and it is known for its multitude of ancient Roman buildings. The city has a long tradition of wine making, fishing, shipbuilding, and tourism. Close to the city, you can access beautiful, untouched beaches and enjoy the preserved natural environment. Check the top things to do in Pula here! EXIT is a Serbian rock, indie and electronic music festival held each summer in Novi Sad's magical 18th century Petrovaradin Fortress. Roughly 50,000 people go to Exit in one day, making it the biggest music festival in the region. Although it is one of the oldest festivals in the area, it has faced fierce competition with Ultra, the Split-based festival. However, with the mix of high profile and underground acts, the great location, view on the Danube, and world-class production, it is still one of my favorite festivals. Lineup: Every year, music’s biggest stars from across different genres come to Novi Sad. In 2019, the lineup will feature a headline set from The Cure and techno artists Carl Cox, Lost Frequencies, Solomun, Dj Snake, Tom Walker, Charlotte de Witte, and more. Every year, the music program of the festival covers different genres from rock to punk, hip-hop, and electro, across more than 40 stages inside the fort's moats, trenches, and tunnels. You can check the current lineup here. As there are so many stages, a music lover can really find every style they are looking for, from punk rock, hip-hop, reggae, to electro and techno. The main stage usually hosts the most diverse acts, while the smaller stages are usually for local artists, which is a great way of promoting Balkan music. Tickets: You can buy a ticket for four days, for a promo price, for only $99! You can as well buy the Tour Package which includes the festival ticket, the camp, and the transfer for only $145. However, be aware this is a very popular festival, and tickets will be sold out quickly! Learn more about the tickets here. Accommodation: You can book a camping spot at the Exit Camp for only $33! You can as well find a variety of cheap hostels and hotels, the price starting at only $13 per night! You can learn more here. About Novi Sad: Novi Sad is the second largest city in Serbia, and it is the capital of the autonomous county Vojvodina. Next to Belgrade, the capital city, Novi Sad is also known as a great place to party throughout the year. Check the best 8 places you should visit in Novi Sad! The Sea Dance Festival is a project of the Exit Festival, and for the last five years, it has attracted famous artists from all over the world. The festival is on a 2km long sandy beach called Buljarica beach. Next to the beach, there is a beautiful, deep-shade forest, making it the perfect place for an amazing summer festival. The Sea Dance Festival is the smallest one, and it is also a relatively new festival. Lineup: Although smaller compared to Exit, Sea Dance Festival is still a popular destination for many musicians. This year, the current lineup includes David Guetta, Robin Schulz, and Offenbach. They will announce the rest of the lineup soon, so keep an eye on it! Accommodation: You can book a camping spot at Camp Maslina, which is an ideal blend of comfort and nature. The camp is in a quiet forest of olive trees which are over 300 years old. This sounds like a perfect place to relax from all-day partying! The price per person from the 29th of August until the 2nd of September is only €31! Tickets: Early bird tickets are still available, and you can buy them for only €37.40! Check other ticket deals here! About Budva: Budva is a beautiful, small town in Montenegro. It has around 60.000 citizens it is one of the oldest settlements on the Adriatic Sea. Check the top things to do in Budva here! Ultra is definitely one of the most popular festival destinations in Europe, and a lot of young people go to Split specifically for this festival. The Ultra Europe Festival is a 3-day electronic music experience at the huge Poljud Stadium. Before and after the festival, there are different huge parties across the islands, and you can find more information here. The Ultra Music Festival originally started in Miami in 1999 but has since expanded to Europe, where it has been held in Split for the last few years. What makes this festival different from others is that, since it is electro music, it is really easy to dance to, and it is a great choice for a wider public. Lineup: The current lineup includes The Chainsmokers, Adam Beyer, Armin Van Buuren, Afrojack and more. I believe this will be my choice for the summer as I absolutely love the Chainsmokers! Accommodation: If you’re going to Ultra, I would recommend staying at the Beachville Camp. There, you can meet thousands of other Ultranauts (aka people who go to Ultra) and enjoy your time on a private sandy beach. You can also warm up for the festival as there are a lot of cool pre-parties in the camp! If you’re not in the mood for camping in the tents, Beachville offers other accommodation options including colorful Bellepads, cool Podpads, and fancy & stylish lodges and beach house. You can learn more here! Location: Compared to other festivals, Ultra perhaps is more commercial and hence it is also at a stadium. However, there are a lot of cool boat parties you should not miss so find more info here! Tickets: You can buy a three-day ticket for only € 169! Find out more about ticket packages here! About Split: Split is definitely the favorite destination of young people from all over the world. It is known as the party place of Croatia, so if you’re into beach parties, this is the place to be! It is the second largest city in Croatia, and it is popular for its beautiful Adriatic islands! Check the top things to do in Split here! Summer months in Balkan countries are very hot and sunny, so always make sure to have sunscreen and a lot of water. Although there are emergency services at every festival, getting sunburned is something you really want to avoid! When going to a festival, keep in mind to wear a comfortable outfit and sturdy shoes! Flip-flops are definitely not a good choice, especially since there are so many people jumping and dancing next to you! No matter where you go to, I am sure you will have loads of fun! Enjoy the music, meet great people, and dance the night away!